Purgatory, described in the 22nd of the Thirty-Nine Articles of Religion as that “Romish Doctrine” that is “repugnant to the Word of God” stalks the pages of Hamlet from Hamlet’s ghostly father’s injunction to his son to “remember me”, to Hamlet’s agonized nightmare of revenge as scourge and minister. This is turned to a purgatorial laying bare of his own soul – “to be or not to be” -, until the final silence and the end of Hamlet’s purgatory when the flights of angels (in Horatio’s prayer, which is a jumbled translation of the “In Paradisum” from the Sarum rite) sing him to his rest before the drum of Prince Fortinbras brings the audience back into harsh political reality. Furthermore, the theological debates over ‘remembrance’ were at the very heart of Protestant controversies over the Eucharist. They were nothing short of a matter of life and death. The Ghost’s command to remember is indeed enough to drive anyone to the brink of madness. It was, of course, illegal to perform church rites on the stage, and so, before the procession with the corpse of Ophelia enters, including a “Doctor of Divinity in cassock and gown”, who offers advice for their “maiméd rites” lest they “should profane the service of the dead” with a requiem inappropriate for a suicide, Hamlet meditates upon the funeral liturgy with the skull of Yorick, the erstwhile king’s jester. As merely a stage rite this is necessarily “maimed”, at one level a far from exceptional scene in Renaissance drama (or, indeed, Counter-Reformation imagery) employing a skull as a reminder of mortality, a memento mori, at another an ironic echo of the words of committal from the Book of Common Prayer, intoned by the priest as the body is lowered into the grave. In sinful baths of milk…. as thus – Alexander died, Alexander was buried, Alexander returneth to dust, the dust is earth, of earth we make loam, and why of that loam whereto he was converted might they not stop a beer-barrel? The dead could be spoken to directly, even in 1549, because in some sense they still belonged within the human community. But in the world of 1552 book the dead were no longer with us. They could neither be spoken to nor even about, in any way that affected their well-being…. The service was no longer a rite of intercession on behalf of the dead, but anexhortation to faith on the part of the living. And so, as Hamlet, still among the living, muses upon the fate of the great Alexander, he is disturbed by the arrival of the royal party with the Doctor of Divinity and the body of Ophelia “with such maiméd rites.” As Hamlet and Laertes leap, one after the other, into Ophelia’s grave, they, with Claudius and Gertrude, are in effect already not with the living but already amongst the dead, even now beyond the boundaries of the human community. As has often been noted, the reformation of burial rites within the tradition of the English Prayer Books was both compromised and contentious. There were even protests from those who regarded burial as a merely secular matter. In Hamlet Shakespeare is exploring both these anxieties and also, despite the prohibition in the Thirty-Nine Articles, the persistent ghostly afterlife of medieval beliefs in Purgatory and other “Romish doctrines” in the context of the dramatic culture of Renaissance revenge tragedy, unpicking in dramatic verse the theological world that was at the same time bound by the Book of Common Prayer. As Robert Ornstein well expressed it, writing of an age of imposed liturgical uniformity, “Because he sees the world feelingly, Shakespeare performs the immemorial service of the artist to society: he humanizes the categorical imperatives which the stern didacticist offers as the sum of ethical truth.”Yet, it might be said, the 1559 Book of Common Prayer was a worthy opponent for Shakespeare, wrought upon the same rich tradition of language expressed through its ritual poetics. Stephen Greenblatt, Hamlet in Purgatory (Princeton: Princetion University Press, 2001). For Greenblatt’s contribution to Shakespeare and the Eucharist see, “Shakespeare Bewitched,” in Jeffrey N. Cox and Larry J. Reynolds (Edited), New Historical Literary Study: Essays on Reproducing Texts, Representing History (Princeton: Princeton University Press, 1993), pp. 108-35. William Shakespeare, Hamlet. Act 1, Sc. 5, line 91. See, Daniel Swift, Shakespeare’s Common Prayers, p. 159  Ibid, Act 5, Sc. 2. Daniel Swift, op.cit. pp. 141-2. Hamlet, Act 5, Sc. 1. See, Daniel Swift, op.cit. p. 155. Hamlet, Act 5, Sc. 1, lines 178-89. See, for example the painting of the Repentant Magdalene (c. 1640) gazing upon a skull, by Georges du Mesnil de la Tour (1593-1652), discussed in David Jasper, The Sacred Body (Waco TX: Baylor University Press, 2009), pp. 91-2. Eamon Duffy, The Stripping of the Altars. Second Edition (New Haven: Yale University Press, 2005), p. 474. Booty, p. 310. Cyril Tourneur, The Revenger’s Tragedy. Act 3, Sc. 5, lines 83-5. Hamlet, Act 5, Sc. 1. Duffy, op.cit. p. 475. See, Geoffrey Rowell, The Liturgy of Christian Burial. Alcuin Club Collections, No. 59. (London: SPCK, 1977), pp. 84-93. Robert Ornstein, The Moral Vision of Jacobean Tragedy (Madison: University of Wisconsin Press, 1965), p. 223. What does it mean to think theologically about marriage? Thinking Again About Marriage is currently included in our winter sale, along with a host of other titles. 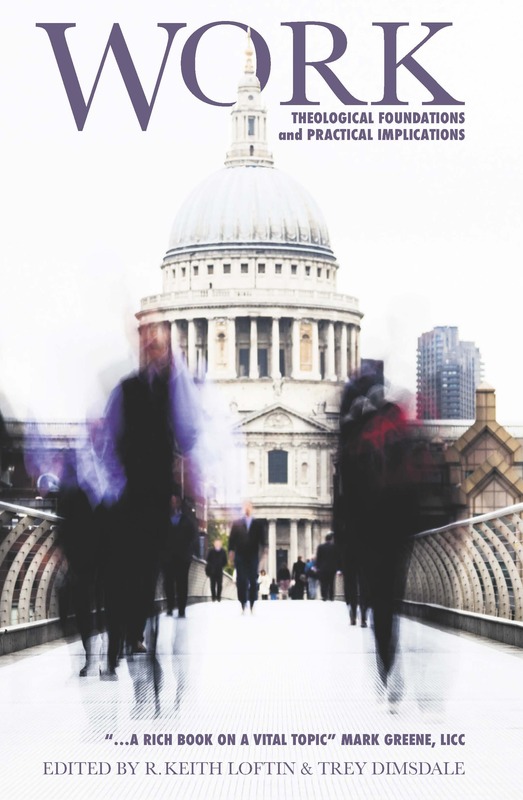 A Faithful Presence: Working together for the Common Good which explores how churches are working together to strengthen civil society, through social action, service provision, community building, prayer and advocacy. E.P. Sanders’ magisterial study Paul: The Apostle’s Life, Letters and Thought in which the leading voice in Pauline scholarship offers an expansive introduction to the apostle, navigating some of the thorniest issues in scholarship using language accessible to the novice and seasoned scholar alike. You can find a full range of titles available in our sale on our website, so do take a look. On the eve of the publication of According to the Scriptures, we caught up with David Allen, the book’s author. DA: I am the Academic Dean at the Queen’s Foundation in Birmingham, where I teach biblical studies across our various programmes and courses. I am a relatively late entrant to the world of theology, having worked previously as a youthworker and a mainframe computer programmer, but am now happily ensconced in the world of theological education. I have taught at a number of HE institutions, including the University of Edinburgh and the University of St Andrews. I have a longstanding interest in the use of the OT in the NT; it was the context for my doctoral study, and I have published regularly in the area since then. It’s the aspect of biblical studies in which I am most ‘at home’, and much of my teaching (whatever the particular part of the NT being covered) reflects this, as I seek to draw students’ attention to the various ways in which the OT might be ‘at work’ in the NT text. Also, as part of my role at Queen’s, I have had the particular opportunity to teach on the so-called Passion Narratives – those parts of the gospels that recount Jesus’ death and crucifixion. These narratives are replete with OT reference and significance, and the book arises out of those courses and lectures. So what difference does understanding the OT make to our reading of the NT? To my mind, it’s fundamental to how we go about reading and engaging with the NT text. The German NT scholar Martin Hengel allegedly quipped: “If all you know is the New Testament, you do not know the New Testament”, and I’d venture that the OT is integral to such NT ‘knowing’. The imagery, vocabulary and culture of the OT permeate the NT writers’ reflection on Jesus Christ, and particularly the accounts of his death (think of the Epistle to the Hebrews in this regard), and one cannot satisfactorily engage with the NT texts without paying due attention to the way in which such OT imagery is functioning. And how does our reading of the OT change in light of its use in the NT? I’d want to say that it a dialogical, or mutually informing, relationship. On the one hand, it might shine fresh light on, or bring a new perspective onto the OT text, opening up a spectrum of ways in which the text might have been variously understood. At the very least, OT/NT discourse gives us a window onto how contemporary (first century) readers engaged with the Jewish Scriptures, and the variety of interpretative methods they might have used in so doing. On the other hand, it also raises questions as to whether the modern reader must/should read the OT in the same way as the NT author. I, myself, am not persuaded that we necessarily should (and would want to resist that for a number of reasons), but there is still a issue as to whether, say Hebrews’ reading of Psalm 40 (in Hebrews 10) becomes the ‘definitive’ or primary way of engaging with the text. Good OT/NT study helps answer these sort ofquestions. It’s an area which has been tackled before on many occasions – what’s different about your approach? It has been tackled before, for sure – there is a strong tradition of scholarly inquiry in this subject area, particularly in the work of C. H. Dodd, Barnabas Lindars and Douglas Moo. And this has continued more recently in the scholarship of figures like Steve Moyise or Richard Hays. My approach (I hope) builds on, and extends, such work. 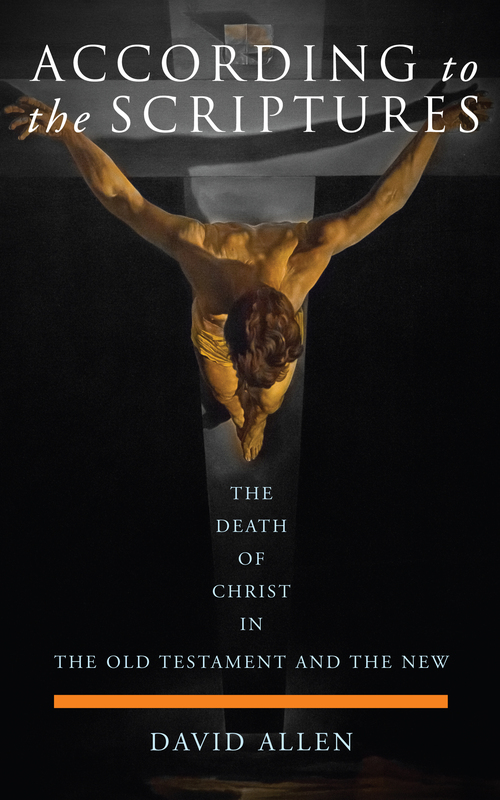 In particular, this book brings together – in one place – discussion of how the OT is used to speak of Jesus’ death across the whole NT corpus; it takes an avowedly canonical approach, and is its distinctive aspect. There are constituent chapters on each NT text, and I try to do some synthesis of the various NT perspectives at the close. I don’t think there is anywhere else where you get the whole NT material covered in the one place. Why do you focus particularly on passion narratives in the book? Several reasons. First, Jesus’ Passion is integral to all four canonical gospel accounts – it forms the climax to all of them, and is thus central to discerning how the gospels function as ‘good news’. Second, the narratives are imbibed with OT reference – be it Jesus’ cry of dereliction on the cross (Psalm 22), or the backdrop of the Isaianic suffering servant (particularly in 1 Peter 2), or the curious use of Zechariah 9–14 at various points in the gospel narratives. Third, the scriptural premise for Jesus’ death seems to have been a starting point for the early church – embedded within its tradition and liturgical practice. Paul affirms that Christ died ‘according to the Scriptures’ (1 Cor. 15.3 – hence the title for the book), and does so without having to argue for or ‘prove’ it. His intriguing silence on the matter encourages us, though, to consider the different ways in which Jesus’ death may have been understood in scriptural terms. Fourth, the ‘crucified messiah’ is the problem that the early church has to grapple with – i.e. why does God require Jesus’ cruciform/messianic death? They found, it seems, answers to this within the Scriptures – hence offering further encouragement for investigation and enquiry. What do you hope readers will gain from the work? I hope readers will encounter something of the diversity of ways in which the NT writers used the OT to speak of Jesus’ death, and that this will stimulate them to probe such matters further. The ‘story’ of Jesus’ death is, of course, a familiar one, but I hope the book will bring out the particular, distinctive “flavours” of the various accounts (John’s Passion is very different to that of Mark, for example). I’d also like to think that the attention to ‘OT detail’ will bring out extra nuance and depth to the familiar story, in a way that informs the life of faith. 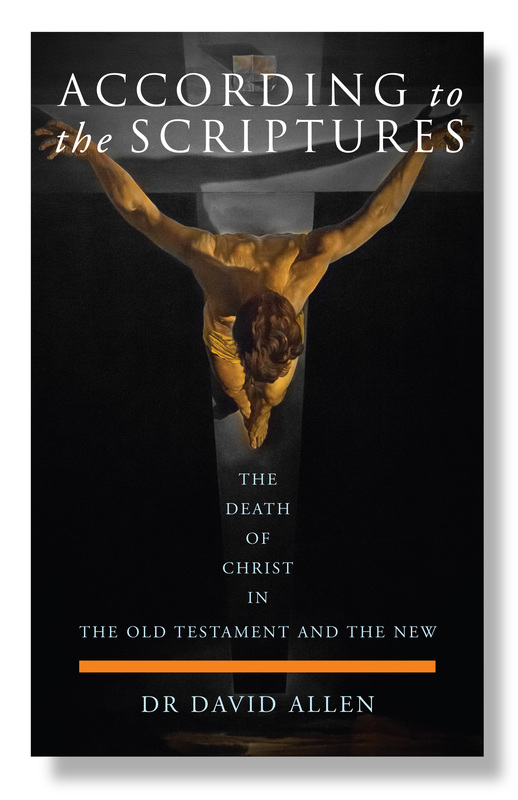 According to the Scriptures: The Death of Christ in the Old Testament and the New is published at the end of January, but you can preorder the book now, via our website at a special pre-publication price. 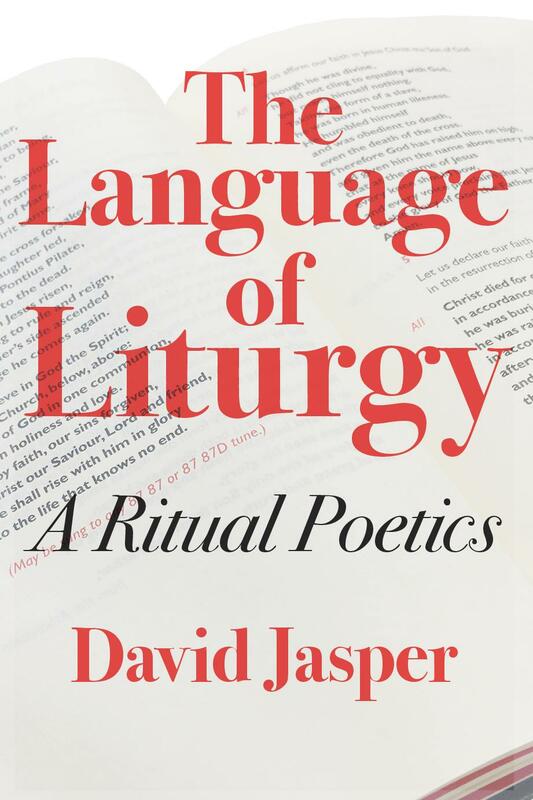 Later this month, we’re publishing David Jasper’s new book The Language of Liturgy. The book traces the history of `liturgical language’ as it begins in the Early Church, but with particular emphasis upon the English Reformation liturgies, their background in the Medieval Church and literature and their long and varied life in the Church of England after 1662. It provides a rigorous study of the effect of liturgy upon the theological and devotional life of the Church. Ann Loades, Professor Emerita at Durham University describes the book as “both informative, challenging and to be taken very seriously”. Here, David Jasper authors a few thoughts of his own on how the book came to be written. “The Language of Liturgy has haunted me for years. I was brought up in the shadow of liturgical revision and the Alternative Service Book (ASB) as the son of Dean Jasper. When I was a young man I was aware of his involvement as an Anglican observer at the Second Vatican Council, and when I was ordained into the Church of England ministry myself in 1976 it was when the row between traditionalists and ‘revisers’ was at its height on the eve of the publication of the ASB. Forty years later I have retired from a life of teaching literature and theology in universities in the UK, the USA and most recently China. During most of this time I have also continued to serve as an assistant parish priest in England and Scotland. All this while my father’s considerable liturgical library has been on my shelves waiting for my attention. The time up to retirement has given me an opportunity to read some of this and reflect upon the Anglican revision of the liturgy leading up to the advent of Common Worship and its replacement of the ASB. The Language of Liturgy is available to preorder at a special pre-publication discount. Click here for more details. David Jasper is Honorary Professorial Research Fellow at the University of Glasgow. He has published and lectured widely in the field of literature and theology. He is an ordained Anglican priest. He holds degrees from Cambridge, Oxford, Durham and Uppsala, and is Doctor of Divinity at Oxford and holds a doctorate in theology (h.c.) from Uppsala. He has published and lectured widely in the field of literature and theology and his most recent book is Literature and Theology as a Grammar of Assent (Routledge, 2016). He is an ordained Anglican priest. Happy New Year! Suddenly we’re in 2018, and it’s just like we imagined (only with far fewer robots). To whet your appetite for what’s to come this year, here’s a sneak peek of what new titles will be arriving in the next few months. David Jasper has for a long time been one of the foremost scholars on theology and literature. He is professor at the University of Glasgow, and was instrumental in establishing that institution’s reputation as a centre for engagement between literature, theology and the arts. His new book The Language of Liturgy: A Ritual Poetics provides a rigorous study of the effect of liturgy upon the theological and devotional life of the Church. It considers especially how language works in the worship of the church, tracing the history of `liturgical language’ as it begins in the Early Church, but with particular emphasis upon the English Reformation liturgies, their background in the Medieval Church and literature and their long and varied life in the Church of England after 1662. The study of Christian theology in the last half century has seen a major renaissance in Trinitarian thought which has attempted to connect Trinitarian theology to all aspects of Christian faith and practice. This revival has often addressed the unfortunate split which has haunted much modern theological endeavour between theology and both prayer and practice, the disjunction between thought about God and the movement of the heart toward God in transformed lives. 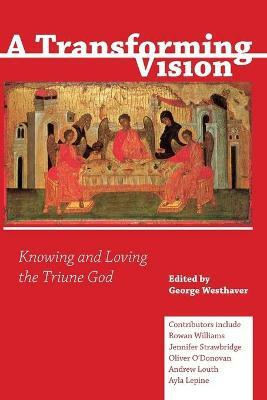 With contributions from Oliver O’Donovan, Rowan Williams and Andrew Louth, A Transforming Vision explores what it means to know and love the Triune God, and how the knowledge of God can be a transforming and saving knowledge. The book is edited by George Westhaver, Principal of Pusey House, Oxford. “If all you know is the New Testament, you do not know the New Testament” – so the late NT scholar Martin Hengel is reputed to have said. This book, a study of the way in the NT writers utilized the Jewish Scriptures in order to describe, articulate and evaluate the death of Jesus, takes Hengel at his word. What Old Testament texts are quoted in the New Testament?, how are they used and what might such analysis mean for the (contemporary) reader? Focusing in particular on the passion narratives in the Synoptic Gospels, According to the Scriptures seeks to engage with these questions. The author is David Allen, Academic Dean at The Queen’s Foundation, Birmingham. With contributions from a variety of leading theologians including Miroslav Volf, this book brings together biblical scholars, ethicists, economists representing a spectrum of theological voices. It will bring a new academic depth to the literature on the theology of work and provide a comprehensive single-volume resource for scholars and students alike. Mark Greene, Director of the London Institute of Contemporary Christianity provides the foreword and R Keith Loftin and Trey Dimsdale are the editors. The renowned American preacher Herbert O’Driscoll suggests that congregations do not want to be given a map showing them how to get to the coast, they want to be drenched in the spray. Narrative preaching is a means of such drenching. By dramatic story-telling, it invites listeners into enter the text imaginatively and enables them to experience sermons as transformative events. 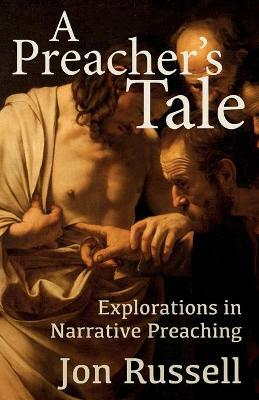 A Preacher’s Tale : Explorations in Narrative Preaching aims to provide not just a theoretical introduction, but a resource that uses sermons in the narrative style to reflect on how to prepare and construct them and how to deliver them effectively in the context of worship. 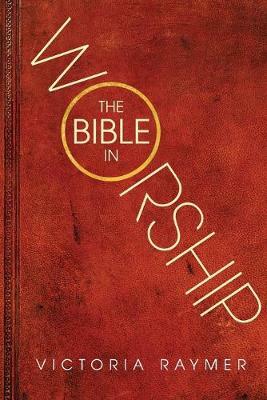 The Bible in Worship seeks to make visible how the Bible is encountered in the worship of mainstream Western churches. Focusing in turn on the Roman Catholic, Reformed and Anglican traditions, Victoria Raymer offers a detailed and lively consideration of the contemporary practices of proclamation in each, considers their respective patterns of reading the Bible as part of public worship, and reflects on the place the Bible takes in daily prayer. Raymer also draws our attention towards the role the psalms play in contemporary formal liturgy, and offers a chapter on how the Bible is weaved into less formal forms of worship, including contemporary sung worship. In Raging with Compassion, Michael Ramsey prize-winning author John Swinton argues for a practical theodicy, one embodied in the life and practices of the Christian community. This practicality does not seek to provide an explanation for the existence of evil, but rather presents ways in which evil and suffering can be resisted and transformed. This, he insists, will enable Christians to live faithfully with unanswered questions as they await God’s redemption of the whole creation. Swinton explores essential practices of redemption – lament, forgiveness, thoughtfulness, hospitality, and friendship – drawing out their implications for the faithful resistance of evil. 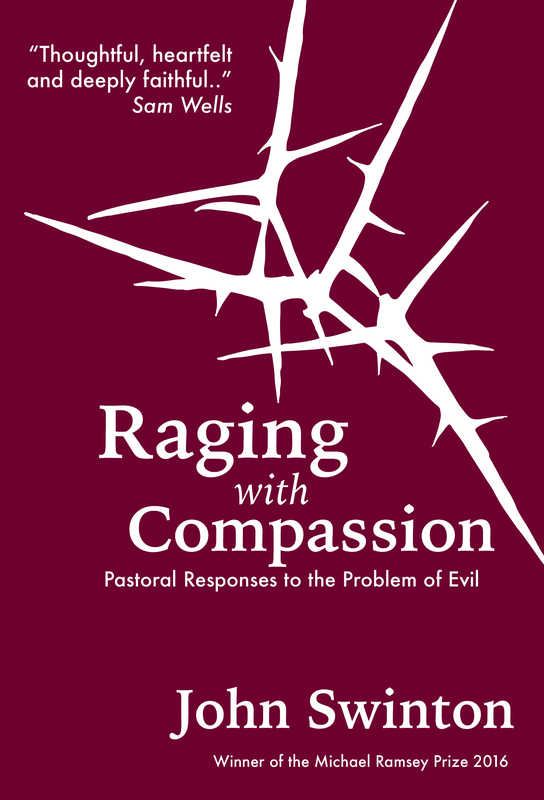 Enhanced by case studies from current events and by Swinton’s own experience as a pastor and mental health nurse, Raging with Compassion seeks to inspire fresh Christian responses and modes of practice in our broken, fallen world. 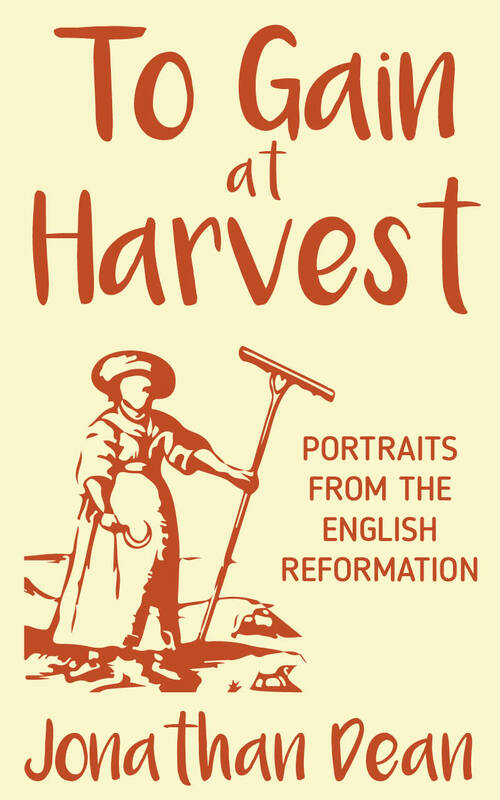 To Gain at Harvest celebrates the courage, intellect, humility and passion displayed by figures of all shades of opinion and belief during the English Reformation. Offering insights into the turbulent period of the English Reformation and its ideas, Jonathan Dean demonstrates the qualities of mind and heart, and the gifts of faith and character, which some of its leading proponents possessed. The book will provide a vital resource for students and general readers seeking to understand a crucial moment in church history. Includes chapters on Thomas More; Thomas Cranmer; Anne Askew; Katherine Parr; Nicholas Harpsfield; Elizabeth I; Matthew Parker; Lancelot Andrewes; George Herbert; Gerrard Winstanley; and Thomas Traherne. 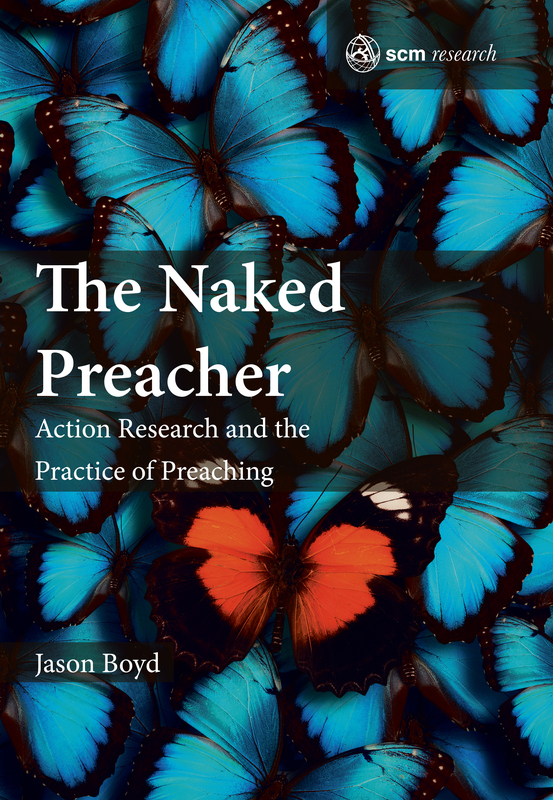 The latest title in our SCM Research strand, The Naked Preacher argues that both preaching and Action Research are inherently exposing practices. They require a deep level of self-consciousness, and a willingness to hold oneself up to critique and comment. But at their best they are both formed within a deep and supportive critical community. Applying a methodology rooted in Action Research as way of Doing Theology (ART), and drawn from the author’s own research within a specific ‘community of practice’, The Naked Preacher demonstrates for preachers and ministers new ways to be critically and constructively self-aware. It also offers an important contribution for practical theologians with an interest in action research and critical reflection.